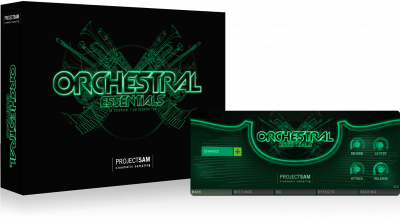 Expand your Orchestral Essentials experience with brand-new selections from the acclaimed ProjectSAM product catalog. The Strings, Brass, Woodwind, Percussion and Keys categories capture the imagination and sound the business. The follow-up to the much loved original… Orchestral Essentials 2! 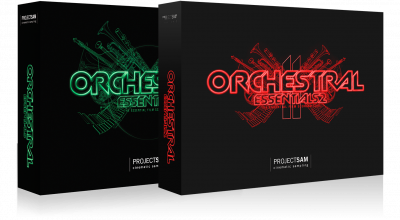 If you don’t own Orchestral Essentials 1 yet, go for the Orchestral Essentials Packand get up to scoring speed with the killer cinematic orchestral package. Orchestral Essentials 2 has now been updated to version 1.2, adding new samples, Multis and features, as well as Native Kontrol Support. Scroll down for more details! 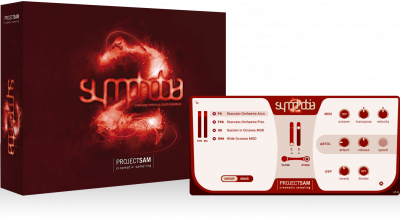 The sounds in Orchestral Essentials 2 were selected from other libraries in our catalog, including the Symphobia series. Each program was streamlined and tweaked to fit into the Orchestral Essentials series concept. 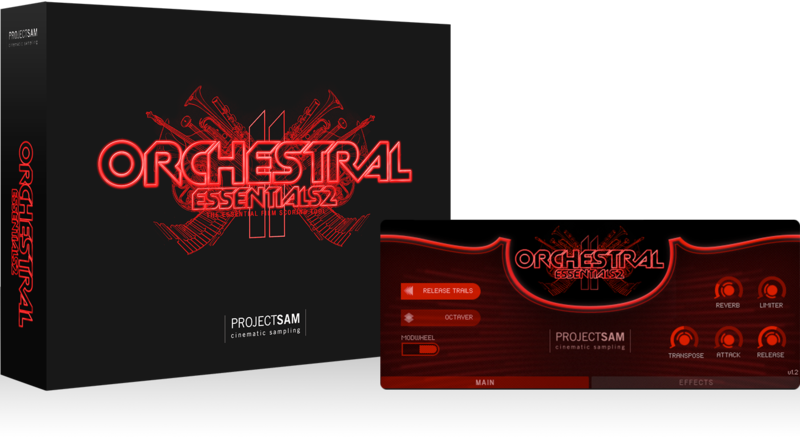 If you already own a Symphobia volume, please take a look at this document to see what Orchestral Essentials 2 will add to your template. 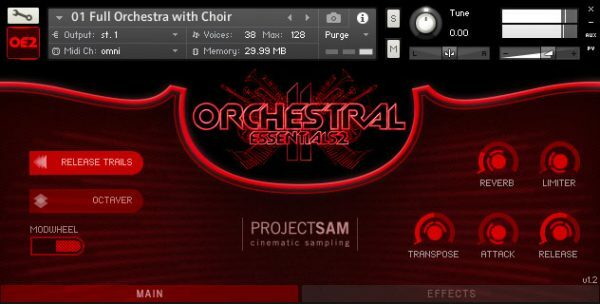 All instruments in Orchestral Essentials 2 are available in 1 microphone set (close or stage, depending on the instrument). In the original libraries, these instruments are available in multiple microphone sets, a more in-depth interface and, in most cases, more articulations. I've used ProjectSAM products for years and they are often an integral part of the demo phase of many projects I do. Wow. For years I have been looking for something like Orchestral Essentials. I used to layer loads of orchestral sounds to get something slightly big. With OE the sound just enormous from the get-go. Get up to scoring speed with the killer cinematic package, combining the must-have essentials of volume 1 with the exciting new additions found in volume 2.